Generally, I would rank the mana lands lands into a couple different tiers (within these tiers there might be some striation--this is just a general overview). At the top are your original Duals, like Tundra for obvious reasons. They enter untapped, they can be fetched, and they have no downside other than being nonbasic lands. The second tier are your shock lands, like Hallowed Fountain . These can be fetched and have the option of entering untapped, though there is a slight downside. The downside, however, is mitigated some by the fact it only has to be paid once. The next tier are the lands that enter untapped but have a downside or other restriction to use. These include your filter lands ( Skycloud Expanse , Mystic Gate ), check lands ( Glacial Fortress ); pain lands ( Adarkar Wastes ); etc. 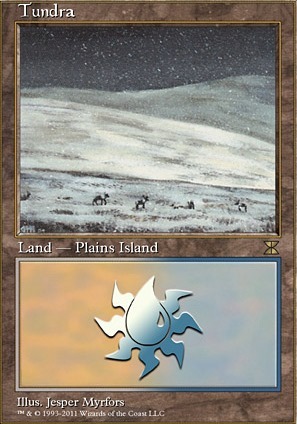 There are a couple lands that enter untapped that I would not include in this tier, such as mana batteries ( Calciform Pools ) or lands that have restrictions on their being untapped ( Thalakos Lowlands ; Land Cap ; etc.). Finally we get to lands that enter tapped. If you are on a restrictive budget, you can use these, but you are going to have significant problems with hitting your curve. Ideally, everyone in your meta will have a similar mana base, as otherwise you will be perpetually a turn behind in terms of mana generation. The tri-lands would fall into this lowest tier. While having three colours is nice, they are still too slow for all but the most casual of tables. There are plenty of decent rainbow options, such as Mana Confluence , that would be a preferable choice. Out of curiosity, I did a quick search of MTG top 8 to see what reserve list cards were being played. In the top 50 cards, the following reserve list cards appear: Volcanic Island , Underground Sea , City of Traitors , Bayou , Tundra , Mox Diamond , and Badlands . If you limit this search to non-land cards, Mox Diamond and Lion's Eye Diamond are the only two reserve list cards to make the top 50. 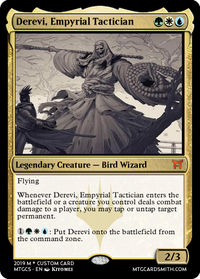 Those are all great cards, but their representation does not seem high enough to say "the reserve list is killing legacy." It may play a small role by increasing the cost of some cards, but it is far from the format's biggest problem. 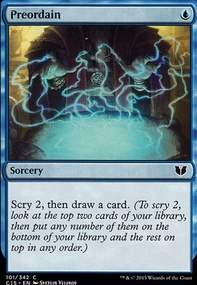 I think competition from Modern (both in terms of players and in terms of demand for cards being used in both formats driving up price), Wizards not providing support for Legacy, and the rarity with which new cards that shake up Legacy are printed, are all bigger threats to the format than the Reserve List. DanTheBear hush my sweet child. 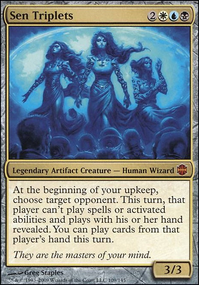 The pricetag is a figure of the most idealistic flashy deck on paper possible. A result of SynergyBuild's work he put into intentionally expensifying the deck as much as he possibly could. 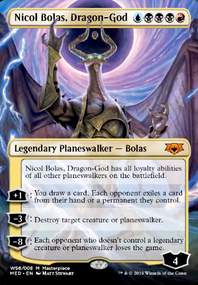 We'll be working on a budget version soon, and if you'd like we can provide a price estimate for a non-foil version of the list with lower value printings. Also keep in mind the price from there can be lowered by cutting cards like Chains of Mephistopheles, Scrubland, Tundra, and Underground Sea. Hell, $8K of this deck is coming from the alpha edition Underground Sea alone haha. I'm still having trouble with Tundra, Ponder, Mystic Remora, Snow-Covered Swamp, and Sol Ring. Thanks! Grandmaster5327, all of those are uncommon or higher rarity, so none of them are legal in Pauper format. Thus, none of those would work for this deck in this format. At the level of common, which is all that may be used for Pauper format, there are no dual lands that enter the battlefield untapped. Looking at the cards from Alpha, Beta, Unlimited, and Revised, they didn't have the color designations for any symbols (indeed, they lacked symbols completely), but looking them up on Gatherer shows that ALL of them are uncommon, rare, and there are even some dual lands at mythic rare. None of the dual lands at the level of Common enter the battlefield untapped. This deck is nearly perfect, but there's just a few areas of weakness that demand immediate attention. 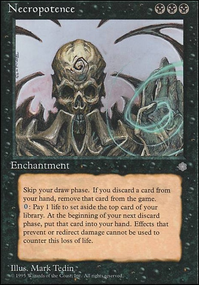 First off, I would remove the following cards: Abrupt Decay, Angel's Grace, Anguished Unmaking, Animate Dead, Arcane Denial, Avacyn, Angel of Hope, Badlands, Bayou, Birds of Paradise, Blood Crypt, Bloodstained Mire, Brainstorm, Breeding Pool, Chromatic Lantern, Chrome Mox, City of Brass, Command Tower, Cultivate, Cyclonic Rift, Dance of the Dead, Deathrite Shaman, Decree of Pain, Delay, Demonic Tutor, Enter the Infinite, Exploration, Farseek, Fellwar Stone, Fist of Suns, Flooded Strand, Godless Shrine, Hallowed Fountain, In Garruk's Wake, Intuition, Jin-Gitaxias, Core Augur, Jodah, Archmage Eternal, Kozilek, Butcher of Truth, Laboratory Maniac, Lotus Cobra, Maelstrom Wanderer, Mana Confluence, Mana Crypt, Marsh Flats, Merciless Eviction, Misty Rainforest, Mox Diamond, Myojin of Night's Reach, Myojin of Seeing Winds, Mystic Remora, Mystical Tutor, Nature's Claim, Nature's Lore, Negate, Omniscience, Oracle of Mul Daya, Overgrown Tomb, Painful Truths, Polluted Delta, Praetor's Counsel, Progenitus, Rhystic Study, Rise of the Dark Realms, Savannah, Scalding Tarn, Scrubland, Sensei's Divining Top, Show and Tell, Skyshroud Claim, Sol Ring, Steam Vents, Stomping Ground, Storm Herd, Survival of the Fittest, Swan Song, Swords to Plowshares, Sylvan Library, Taiga, Tainted Pact, Temple Garden, Terastodon, Three Visits, Time Stretch, Toxic Deluge, Tropical Island, Tundra, Ulamog, the Ceaseless Hunger, Underground Sea, Vampiric Tutor, Verdant Catacombs, Volcanic Island, Vorinclex, Voice of Hunger, Watery Grave, Windswept Heath, Wooded Foothills, and Zacama, Primal Calamity. There's really nothing you could replace these cards with that would make this deck competitive, so I'd recommend just stopping here. Good work. So, I see a lot of changes for general power level upgrades. I can't give anything specific to this deck, as I can't tell what the deck is attempting to accomplish at a quick look through the list, but these should be in every cEDH list that can run them. First of all, remember cEDH is a turn 3 format, so you need all your lands to enter untapped unconditionally. I see several that have more difficult to reach requirements, only 5 fetches when you should run 9 (missing Windswept Heath, Misty Rainforest, and Scalding Tarn), no true duals (Tundra, Underground Sea, and Scrubland), which I understand due to price, and no City of Brass or Exotic Orchard. 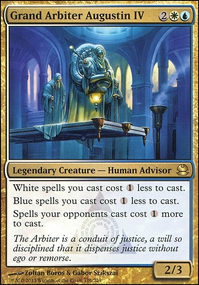 I also don't see an Enlightened Tutor, Timetwister (Once again, I recognize it's expensive, though), Imperial Seal, Chrome Mox, Flusterstorm, Dispel, or any way to get those expensive creatures into the graveyard to Reanimate, or any reanimation spells. That curve is incredibly high. Average CMC without a lot of reanimation should be About 1.8, and your's is at 3.27. Just made a bant edh deck and I need Noble Hierarch, Breeding Pool, Hallowed Fountain, Tundra, Savannah, Tropical Island. Binder is mostly up to date, 1 or two things might be off. Hit me up with any offers.